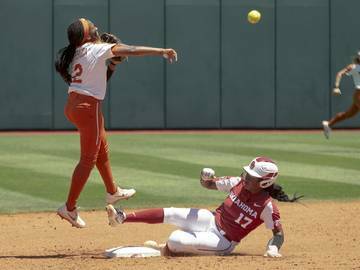 After twice rallying to beat Xavier this past weekend, Texas was unable to complete a comeback against rival Texas A&M on Tuesday. 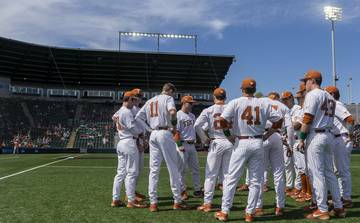 Texas appeared first on the UFCU Disch-Falk Field scoreboard as Ryan Reynolds singled in Austin Todd during the opening inning. 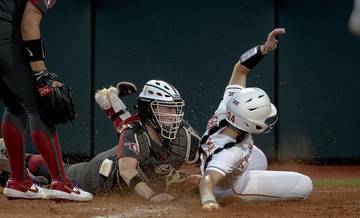 Texas A&M quickly responded and hit two home runs during a four-run second inning. Texas A&M scored again in the fourth frame before extending its lead to 7-1 in the sixth session’s top half. In the seventh inning, Texas senior catcher Michael McCann homered for the first time at UFCU Disch-Falk Field. The three-run blast cut the Aggies’ lead to 7-5. 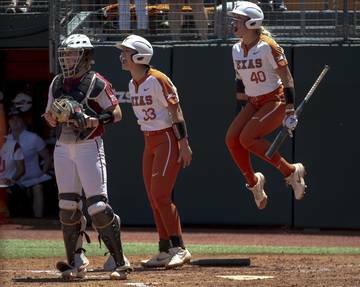 Texas scored on an error in the eighth inning, but Texas A&M eventually put the game out of reach with Logan Foster’s two-run single. 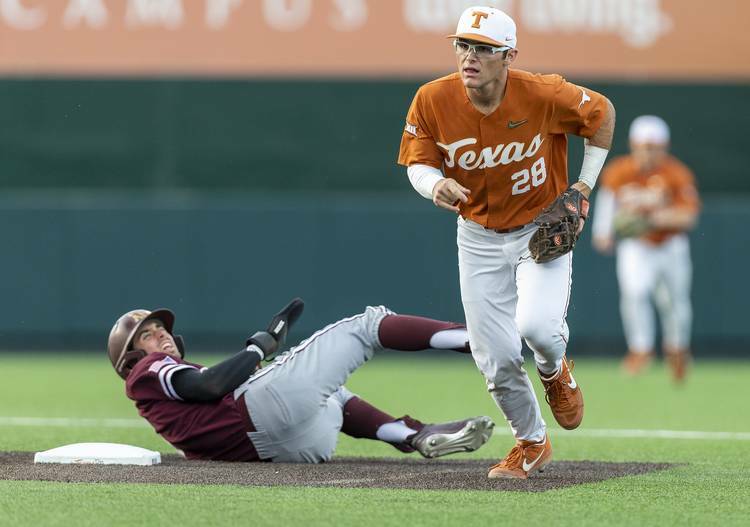 Texas A&M and Texas were ranked ninth and 12th in this week’s D1Baseball poll. The win snaps a one-game tying streak for the Aggies (24-6-1). Texas is now 20-12. Got the Disch going up on a Tuesday. BEVO in the club and he’s choosey. Reveille IX remained in College Station on Tuesday night. Therefore, Bevo’s 2019 record against live mascots from the SEC remained at 1-0.
NOTABLE NUMBER: 13. 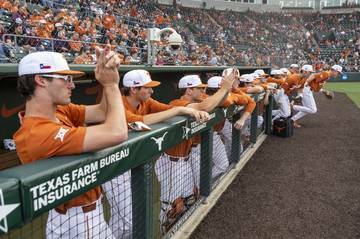 Texas ended the first inning’s top half when McCann threw out Braden Shewmake on an attempted steal of second base. This year, McCann has caught 13 of the 39 opponents who have run on him. (Texas A&M did swipe a bag on Tuesday.) Last year, McCann caught only two of 20 thieves. Due to DJ Petrinsky’s season-ending shoulder surgery and Caston Peter’s finger injury, McCann entered this week as Texas’ only healthy catcher. Before Tuesday’s game, however, Texas announced that redshirt freshman Turner Gauntt has returned to the roster. 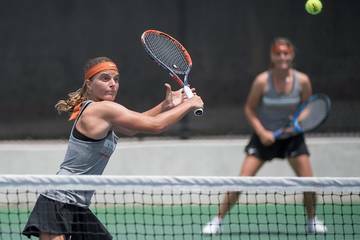 Gauntt, whose father played on UT’s 1983 championship team, was cut before this season. 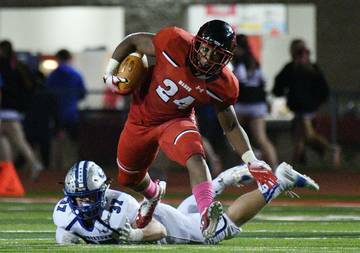 He’ll take the roster slot opened by Alec Carr’s preseason transfer. 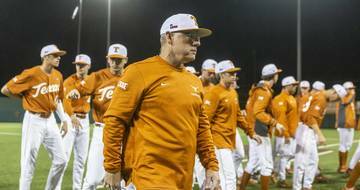 UP NEXT: Texas will return to Big 12 play this weekend when it travels to Baylor. The Bears owned a 20-7 record ahead of Tuesday’s trip to Dallas Baptist. 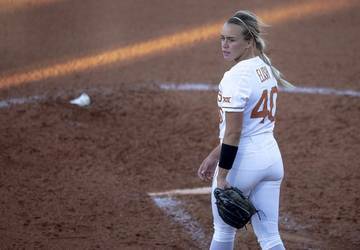 Texas is 247-110-4 in its all-time series with Baylor, but the Longhorns have dropped two of their last three series in Waco.